Before I get to today's giveaway I wanted to give a shout out to my friend Jeanne! Her Creatively Made E~Course goes live today! If you haven't signed up you still have time. This is a great opportunity for you to create the home of your dreams. 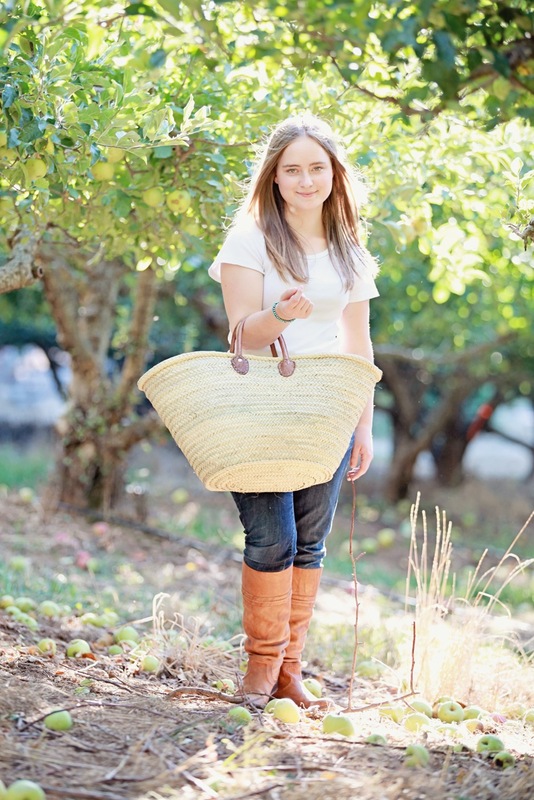 Have you seen her new selection of market baskets? You could win one right here! Choose from the rustic round basket. Think of all the uses for these! made from a French linen sheet! what would you do with it if you won? 1~your choice of market basket from Dreamy Whites Online. 2~a pair of standard shams made from a vintage French sheet. Please one comment per person please. You do not need a blog to enter, but make sure you leave your contact info. I will pick a winner via random.org and announce back here on Friday. Spread the word on your blog, face book, or twitter and you will get an extra entry! What a fabulous giveaway!! I love the leather trimmed market basket. Ohhh....I am signed up and ready for Jeanne's eCourse. Ohhhhh...hiw I would love to win a basket and french sheet...pick me...pick me. I would dearly love to win this giveaway! Oh please random.org pick me! I would most likely repurpose that sheet into SOMETHING! And I love those baskets. I actually love everything about Marias blog and shop. Someday I'm going to find room in the budget to purchase some stuff from her! Just adore the leather trimmed basket, would be elated to win! Thanks for offering the wonderful giveaway! Such beautiful baskets. I think I would use the sheet to make curtains. Love the market basket!! Great giveaway! I'd love to win this amazing giveaway! The leathaer trimmed market basket is just darling and sheets would just add to it. Love this giveaway. The baskets are gorgeous and the sheets look so nice! Dreaming of shopping the market with the leather trimmed version. Love Dreamy Whites and Love My Sweet Savannah! What an awesome giveaway!! Who wouldn't love that basket! Give aways are always fun. I am in awe of this generous giveaway! 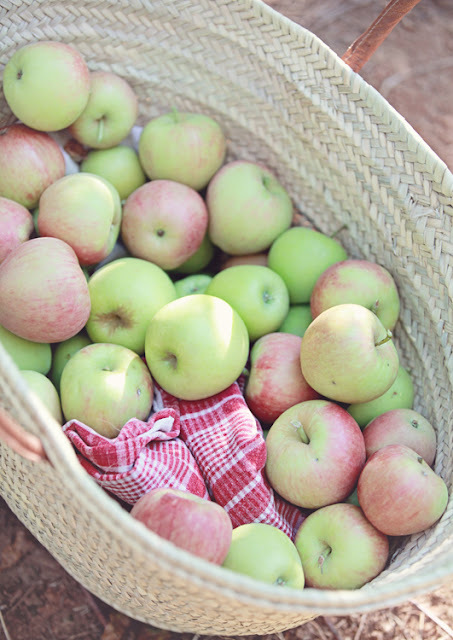 Already thinking of planning a picnic to pack in the basket, and using the sheet as a tablecloth.....what fun!! Thank you both! Those French market bags are so beautiful! Perfect beach bag for next summer . . . thank you for a wonderful giveaway! Ok sister - this is one FABULOUS giveaway!!! I love, love, love those market baskets and a french sheet - oh the possibilities!!! PS - will post about it on my blog today too! I just love those baskets, especially the leather trimmed one! Thanks for the giveaway! What a great giveaway, would love to win a sham and french sheet!! What a awesome giveaway. Count me in. What a wonderful give away. I have been on her blog and her things are gorgeous. I love the leather trimmed basket. oh, i just LOVE maria and her fantastic style! INSPIRING! and i'm sharing on facebook! what lovely baskets! I would love to win! What an awesome giveaway :) It would feel like Christmas morning winning! Fingers crossed. Loving the leather trimmed basket, oh the goodies that could be loaded into it!!! What an extremely generous giveaway! The market baskets are lovely and the sheet and shams would be fabulous to have on my bed (and lock the cats out of the bedroom...hah!). Love that leather trimmed basket! And oh, how fun would it be to make some soft curtains with this linen sheets... or some nice soft pillow covers! Thank you! Would love to win! I love her site. She is always so generous with her giveaways. I was already planning to order the leather trimmed french market bag for my sister for Christmas. I would just use the sheet on my bed. how lovely! would love the chance!! thanks so much! They are all fabulous pieces alone but together they are fantastic. They are stunning. Love love the basket. Wow! Amazing giveaway. Thank you! Those market baskets are dreamy! I have visions of gathering fresh veggies, herbs and bread while walking in a beautiful french city that is the perfect temperature in my perfectly effortless outfit. That's pretty impressive impression those baskets give! 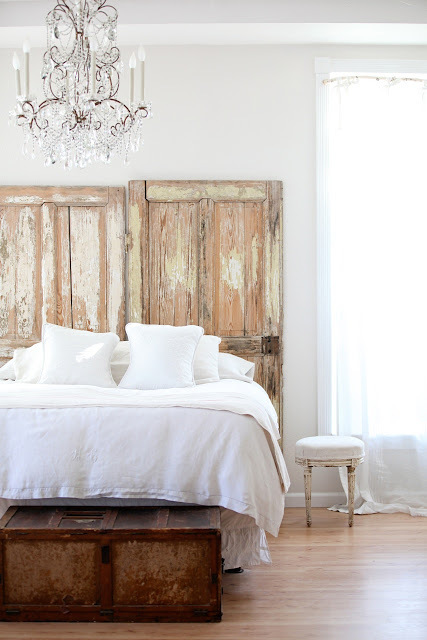 I think I envision sweet dreams curled up under that fabulous vintage french sheet and shams! they are all fabulous, but i especially like the french market basket. Thank you for throwing such an amazing giveaway! If I were so lucky, the gorgeous basket would accompany me to the farmer's market every Saturday and the antique French linens would look beautiful in my cream colored bedroom. I would love any or all! I can see a basket coming in handy at the farmers market this spring! What a great giveaway! Happy Monday y'all! Thank you for the wonderful giveaway. I have been loving the market baskets...so many uses. I would mind the sheets either they sound gorgeous. An amazing giveaway... I love Maria's blog and goods! Wow, what a generous giveaway! I love everything about it! What a wonderful prize! I went to France with my sister years ago and she bought one of these beautiful baskets and I have wished ever since that I had one too. To win would be a dream come true! what a wonderful give away! Really love all the baskets, especially the market basket-and the sheets sound heavenly! I love the leather trimmed market bag. What a generous give away. Happy Fall. OOh love her and her items! Those baskets are wonderful! Great pictures too! The leather trimmed carry-all is fab! The linen sheet sublime! Everything is beautiful!! What a lovely giveaway! Beautiful!!! I love the French Market basket!!! Oooh, I am so excited to check out more of Dreamy Whites' stuff! What a fabulous giveaway!! Thank you Maria and Melaine! I love the French Market Basket...great for shopping and trips to the beach in the summer! I'll keep my fingers crossed! Love all her new baskets. Thank You! Oh! I hope I win, I love baskets particularly the leather trimmed one. I definitely wouldn't mind the linen sheet either. This is a wonderful giveaway and since I love all things French, I'd love to win. Thanks for the chance! Love this giveaway. I've been dreaming over Maria's market baskets for a week or two now. Fingers crossed... Thanks for the chance! Oh Golly what a great giveaway!!! The french Market basket would be my pick. Would love some new sheets as well. Thanks! What a beautiful giveaway! 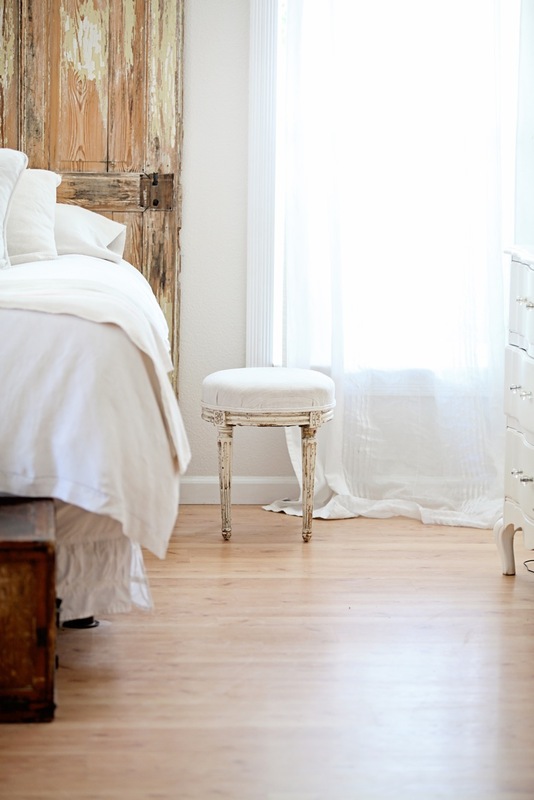 Love the Dreamy Whites style. Lovely baskets! It would be fun to feel that linen, too. I would love to win a leather handle basket. Have a blessed day. Quite possibly the best giveaway I've come across in a long time! 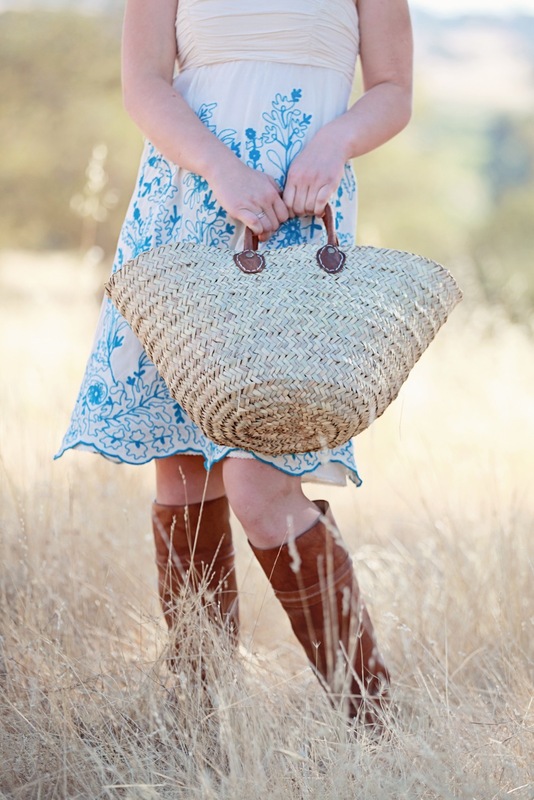 I have been coveting the rustic round basket for quite some time now, it it gorgeous! Ohhh so hope to win. I truly love maria's photography on her blog...beautiful! Thx for the generous giveaway. I would LOVE it all!!!!!! She is amazing! How very generous of Maria to offer such wonderful gifts! I would probably use the sheet to make some pillows for my foyer bench or couches. 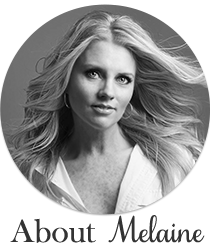 Thanks for a chance Melanie ! I gifted my sister the exact market bag for Christmas last year. Now it is my turn for one haha ! What a generous giveaway! Love her blog! Love the baskets and the sheets..hard to choose. Thanks for the chance. Any of the 3 are a fabulous win, thanks for the chance! So beautiful! I love the baskets! My favorite one is the market basket with leather trim. Oh my star's, what a giveaway!!! Maria is always so generous!!! I would love the the opportunity to win! Thanks so much for the chance!! What a wonderfully fabulous giveaway. Thanks for the chance to win. What gorgeous baskets! My fave is the french market basket! This is an amazing giveaway, I'm keeping my fingers crossed! OOH.... I am dying over the market baskets and linens! Love the French market basket. I'd love to have that for my farmer's market trips. Thanks for the giveaway. Thanks for the giveaway! Love the baskets! What a great Giveaway!! Please enter me, Thanks. Keeping my fingers crossed! Hope to win. I would use the sheet to make a tablecloth! Thanks so much for the chance! Um seriously ? What a fabulous giveaway !! Oh I hope I win ! What a great giveaway. Thanks for the chance. I love everything about Dreamy Whites. Basket would be great and the shams too.. I would use them on my leather couch..
Blogged this great giveaway as well. Thanks so much! The baskets are awesome! Especially the leather trimmed one! What beautiful items! I could imagine carrying a basket full of hydrangea and other lovelies from the garden. Thank you for such a fabulous site! Oh. my.word. 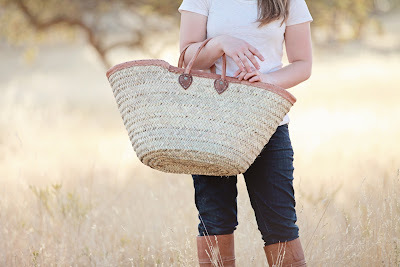 I have been coveting the leather lined basket for ever so long. If I had my own, I could stop coveting. That would be good, don't you think?? Thanks for hte fun giveaway - absolutely love it!! Would love the basket. I can think of so many fun uses! What a great giveaway! Thanks and love your blog! Oh my goodness what a wonderful giveaway! I love the items you a generously giving . . . and hoping I win! Thank you for a chance! What a beautiful and generous giveaway! Maria is so talented. I'd love, love, love the leather trimmed market basket and as a matter of fact, I have a vanity stool that is in serious need of recovering and the french linen will be a fabulous addition to my guest bedroom's sad little stool! Maria is so so talented and her photos are always gorgeous. I would love the French market basket and the linen would be lovely as my tablecloth for Thanksgiving. What a generous giveaway! I adore this giveaway! -would love to win! Gorgeous! I would like to use the sheets for my little one's nursery, what a lovely nights sleep they would have. Such a fun giveaway! Looks like you have a long list of others that think the same thing. I love the giveaway and I hope I win. I have always loved Maria's blog. I would love to have one of the market baskets. Great giveaway! I'd love to have the shams on my pillows. Hard choice between the two though. That market basket is wonderful. I love the market baskets! What a great giveaway! I was justing reading Maria's blog before coming over to yours. I love the french market basket and the leather trimmed one. My 40th birthday is in a few weeks and this would be a wonderful birthday gift! I would love to win these glorious treasures. Thanks so much for the chance. The possibilities are endless with those sheets! OH, I love these baskets, but the French one will work so nice with the sheet in my bedroom. Thanks for the opportunity to win. What a special, sweet give away! So many ideas brewing in my head as to what I would do with this fabulous material...Thanks for the opportunity to enter! Lovely giveaway!!! Hope I am the lucky one. what a wonderful Give Away, LOVE love that fabulous French Market Basket. Thanks so much for the chance to win! My favorite is the french market basket but anything is beautiful from Dreamy Whites. Thanks! Love the leather trimmed carryall. I love the market basket! I just LOVE the French Market Basket. How fun would that be come spring/summer when shopping the farmers markets....a MUST have! Thanks for the giveaway sweeties!! I love Dreamy Whites - what a great give-away! Wow what a beautiful giveaway! If I won-I would use the lovely linen sheet to re-upholster the vintage tufted bench that sits in my entryway. Thank you for the opportunity. Fantastic giveaway! I might use the sheet like Maria does - to cover up my slipcover sofa cushions! Love your blog!!! Love that leather trimmed basket!!! That sheet would be beautiful lined with something cozy, folded or draped over the side of our leather couch. Clapping hands in a circle....Gorgeous!!!! I could use all of this in my home....I love all of the baskets!!!! Love your blog as well as Dreamy Whites and would love to win! The market baskets are fantastic! Your friend has excellent taste. What a fabulous giveaway! I've wanted a french market basket for a long time. Love the french market basket! LOVE that basket!! I hope to win! Thanks for the chance! I have longed for one of those french baskets! Wish me luck. Oh, I love, love the market basket and I am sure I would use it in a thousand different ways! I love Maria's blog!! You turned me unto it....wink! What an amazing giveaway!! I would be too excited to win this one!! The baskets are fantastic...and the sheets would be wonderful. I would honored to win. Love both blogs. I love the market basket,endless uses! Thanks for the chance to win! I love the French Market Basket! Great giveaway! I would be so excited to win this! What a amazing giveaway! I can say these baskets are even more beautiful in person.I purchased one from Maria recently and could not be happier! This is such a generous giveaway! I would love to win! 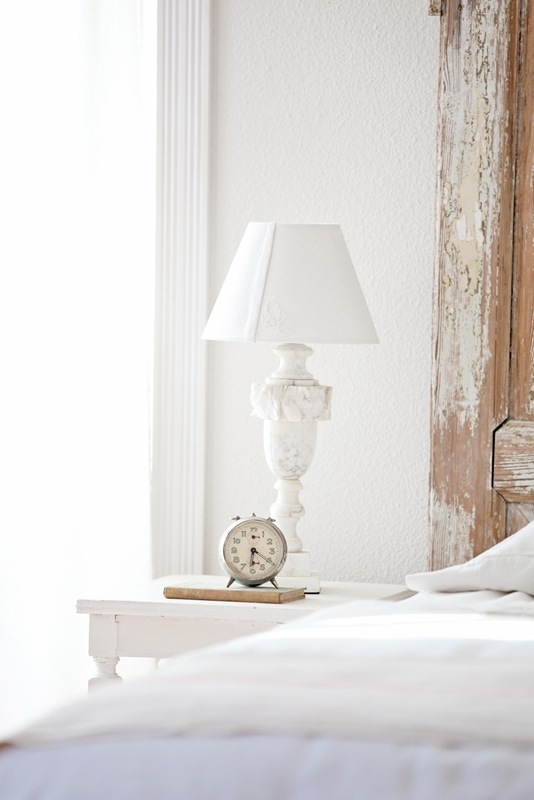 Love Dreamy Whites and to win this giveaway would, most definitely, be dreamy!